As a modern composite scientific discipline, Cell Biology has expanded and moved forward rapidly in recent years. Cell Biologists now require a wide range of techniques, including those of analytical biochemistry and microscopy in all its diverse forms. These are often used alongside the techniques of molecular biology and molecular genetics. This book contains numerous useful protocols, covering light and electron microscopy, cell culture, cell separation, subcellular fractionation, organelle and membrane isolation, and the use of in vitro reassembly systems in Cell Biology. Many of these protocols feature helpful notes and safety information for practical application. The format favours easy use at the bench with space for notes and important safety information. An appendix contains essential analytical information that will prove invaluable to those working on all aspects of cell biology. 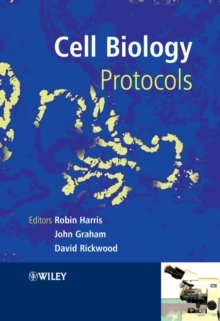 This book will be of interest to students and more experienced cell biologists, as well as molecular biologists and those working in genomics and proteomics who are looking for cellular techniques to validate their findings within intact cells.